Born the 7th of July 1933. He started his career after WWII, in January 1950 when he became a disciple of Matsumoto Kôshirô VIII, received the name of Matsumoto Takaya and performed at the Tôkyô Gekijô in "Ichijô Ôkura Monogatari". He became nadai and took the name of Matsumoto Kôjaku I in September 1957 at the Kabukiza, playing the role of Okumi in the drama "Môja Zuma". This program celebrated also the shûmei of 3 others nadai actors: Nakamura Kichigorô I, Matsumoto Komagorô II and Matsumoto Kônosuke. It was also the hatsubutai of Ichikawa Arajirô III and Matsumoto Matsunosuke. 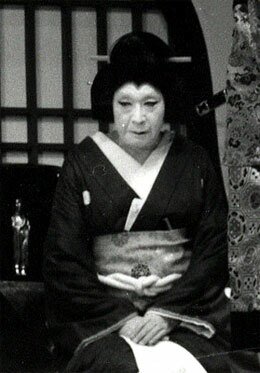 Matsumoto Kôjaku was active in ôshibai up to August 1994, when he appeared on stage for the last time, at the Kabukiza, where he played the role of the nyôbô Otoma in Uno Nobuo's drama "Kôdan Yomiya no Ame". He suddenly died the 21st of August 1994 and was replaced on stage by Nakamura Shinobu. He was an important supporting onnagata actor for the Kôraiya guild. The actor Matsumoto Kôjaku II is the current holder of the name since June 2011.